Come be a part of this run, and run through the Pecan orchard in November in all it’s fall colors… The race route will travel a scenic course on the orchards south of Sahuarita Road on dirt roads and trails through the pecan orchards, giving runners a unique opportunity to see the farm and enjoy the most amazing Fall running experience under the trees. The Pecan Classic 8.4 features: Unique pecan related awards to first place man/ woman, gift baskets from the Pecan Store to top three men/ women, awards to the first place masters man/woman and awards to top three finishers in each age group. 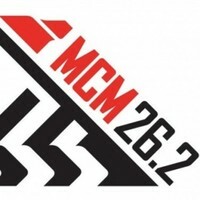 The 3.3 features: Award to first place man/woman, awards to the first place masters man/woman and awards to top three finishers in each age group. 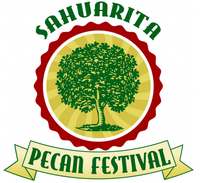 The Sahuarita Pecan Festival will be held on Saturday, November 12th , from 9 a.m. to 5 p.m. The Festival will celebrate the culture, cuisine and music of the Santa Cruz Valley. Designed to be fun for all ages, live entertainment and family-friendly activities, including real harvest demonstrations, hayrides and games, will be available for children and adults to enjoy. A variety of regional food and pecan-related dishes will be showcased, along with a local arts and crafts market and live music.